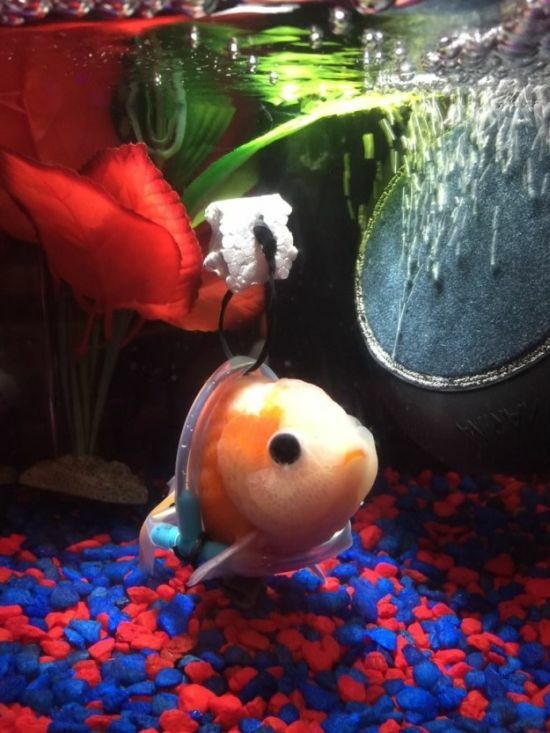 This poor goldfish has a bladder disorder that makes it hard for him to swim, but luckily someone came to his rescue. 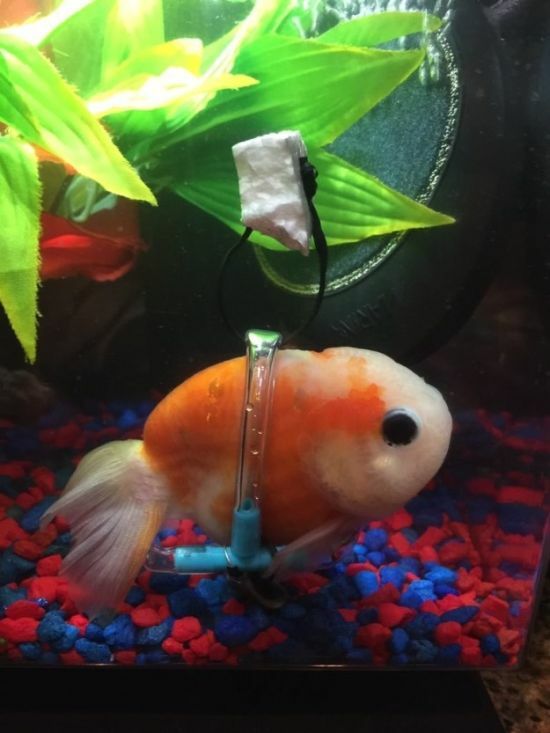 A man made a tiny wheelchair for the goldfish and people around the world think it's adorable. Let me get this straight, the goal here is to make a fish float?